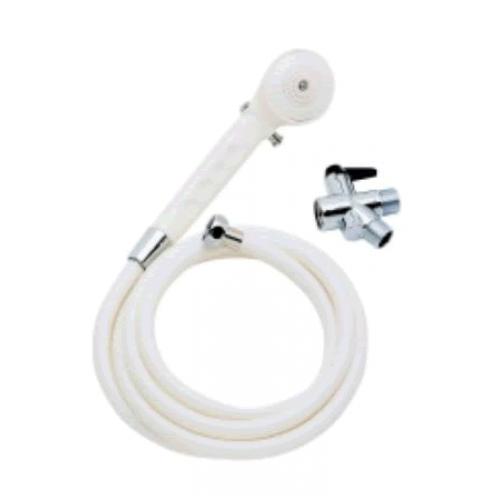 Hand Shower, BUY Shower Hose, Shower Spray, Shower Sprayer, G910. 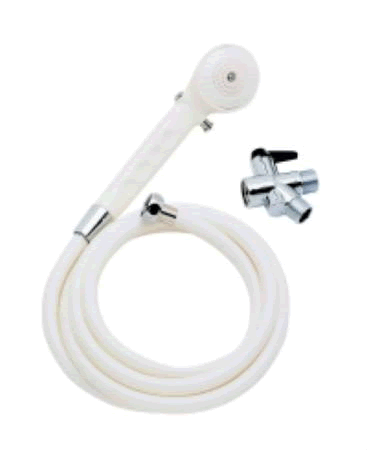 Hand Showers, manufactured by Merits Medical, are Shower Hoses that are easily attached to any home shower. These Shower sprays include an on/off switch. If you ever don’t want to use the hand held shower, switch it off and use the traditional shower head. The on off switch is ideal for large families, where everyone will not have the same shower preference. These Hand Showers are perfect for showers, as well as, bathing dogs or even children. This extra long Shower Hose is 80 inches long for maximum convenience. On/Off switch allows you to switch between removable and traditional shower head. Extra long hose for convenience. I was a little wary because of the low price, but this product exceeded my expectations. It was super easy to install. Having the choice of using the regular shower head or the hose shower attachment in one simple switch is wonderful! Not on the description is the fact that the on/off switch for the hose shower head also allows for turning the spray down. I have really high water pressure, and a child that is sensitive to high pressure, so this is a wonderful feature.